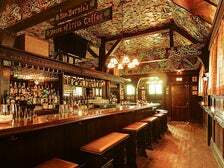 It might be easier to get into Harvard than it is to earn a shamrock at Tom Bergin's — but you'll probably have more fun trying to achieve the latter. 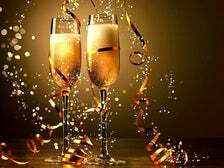 Restaurants across Los Angeles are welcoming the new year with lavish feasts and flowing bottles of champagne. The endless New Year’s Eve dining options feature global cuisines in every type of setting, from romantic dinners to extravagant events with cocktails, music and more. Read on for our guide to the best places in L.A. to dine on New Year’s Eve and ring in 2019. Now that you’ve finished tapping into Part One, read on for Part Two of our guide to 28 bars, breweries and restaurants to drink craft beer in L.A. County. The first-ever dineL.A. Happy Hour Week is taking place Monday, April 27 through Friday, May 1, 2015. Presented by the Los Angeles Tourism & Convention Board, dineL.A. 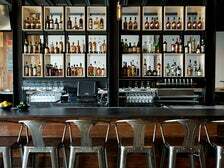 Happy Hour Week features afternoon/evening and late-night happy hours at more than 135 restaurants and bars throughout L.A. County, including those that normally do not offer happy hour specials. 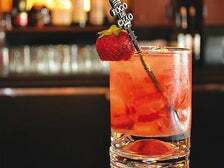 Each restaurant and bar will showcase a selection of bar bites and drinks, with some offering exclusive items only available for dineL.A. guests during Happy Hour Week. Reservations are not necessary. Following are highlights of the inaugural dineL.A. Happy Hour Week. Browse the full list of participating restaurants and bars, then start making plans to enjoy 5 Days of Happy: discoverlosangeles.com/dinela-los-angeles-happy-hour-week. Erin go bragh! There's no better time than St. Patrick's Day to toast with a pint of Guinness, the best selling alcoholic drink in Ireland and a liquid tradition that dates back to the late 1700s. But what about celebrating the Feast of St. Patrick with an actual feast that features the world's most famous dry stout? 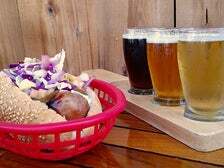 Quite a few places around L.A. have incorporated the beloved beer in their kitchens. 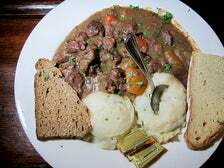 Read on to find out some of the best dishes in Los Angeles that feature Guinness in their recipes. One of the reasons to visit Los Angeles is that there's just so much to do here - celebrity sightseeing, shopping on Melrose or Rodeo Drive, sunbathing in Venice, nightclubbing in Hollywood. With so many activities to check off your to-do list, when will you find the time to eat? 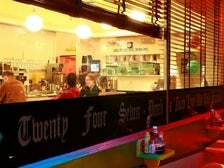 Fortunately, L.A. has diners open 24-7 in nearly every neighborhood. We've listed some of the best late-night restaurants in the city.